Outstanding Adelaide mare Viddora will resume in the G3 RN Irwin Stakes at Morphettville on Saturday. 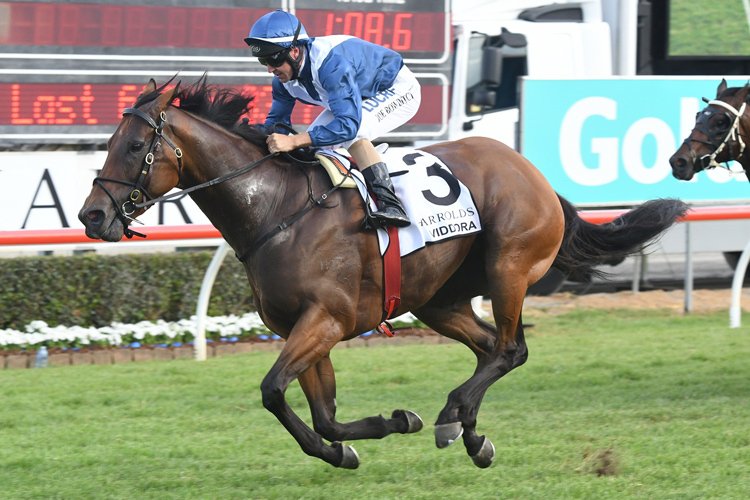 Trainer Lloyd Kennewell has confirmed his plans for the five-year-old Viddora, who has been freshened since her summer travels that took her to Perth and Queensland for wins in the G1 Winterbottom Stakes (1200m) at Ascot and the Magic Millions Sprint (1200m) at the Gold Coast. Kennewell has been delighted with Viddora’s progress since she won a 5 f barrier trial at Morphettville on April 5. The Irwin Stakes will serve as her lead into the G1 UBET Robert Sangster Classic (1200m) at Morphettville on May 5 where her rivals will include the classy Victorian mare Super Cash. Trainer Andrew Noblet-trained Super Cash won the G2 Rubiton Stakes (1100m) at her last start in February and has since trialed at Cranbourne. "I reckon she's as good as we've had her for a long time," Noblet said. "She came through her recent barrier trial at Cranbourne well. She's in great order and I'm looking forward to getting her over to Adelaide."